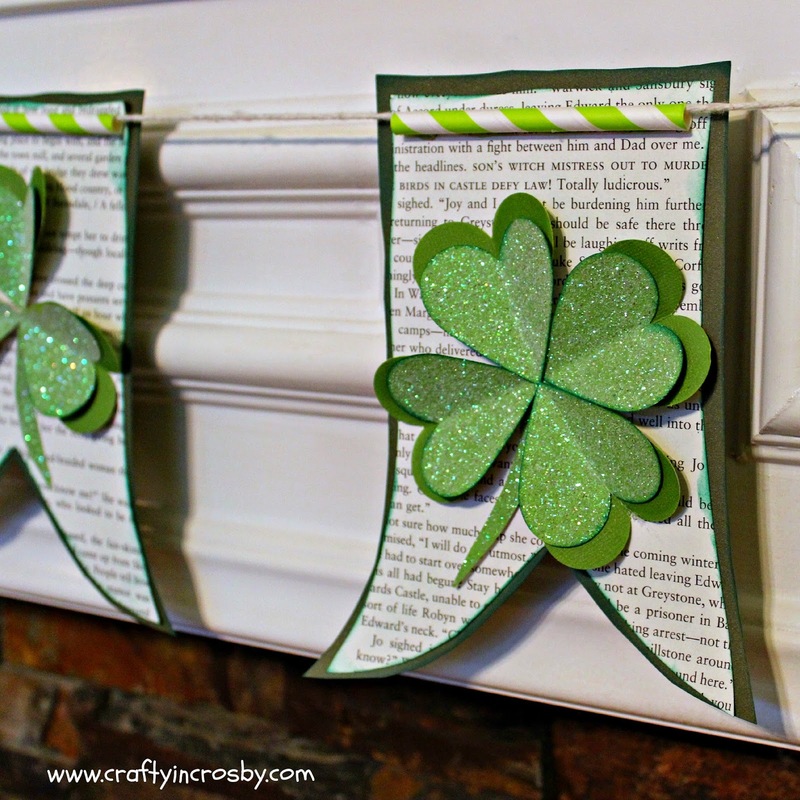 Well, it's February 15th, so down with the Valentines Day decorations on up with St. Paddy's Day! 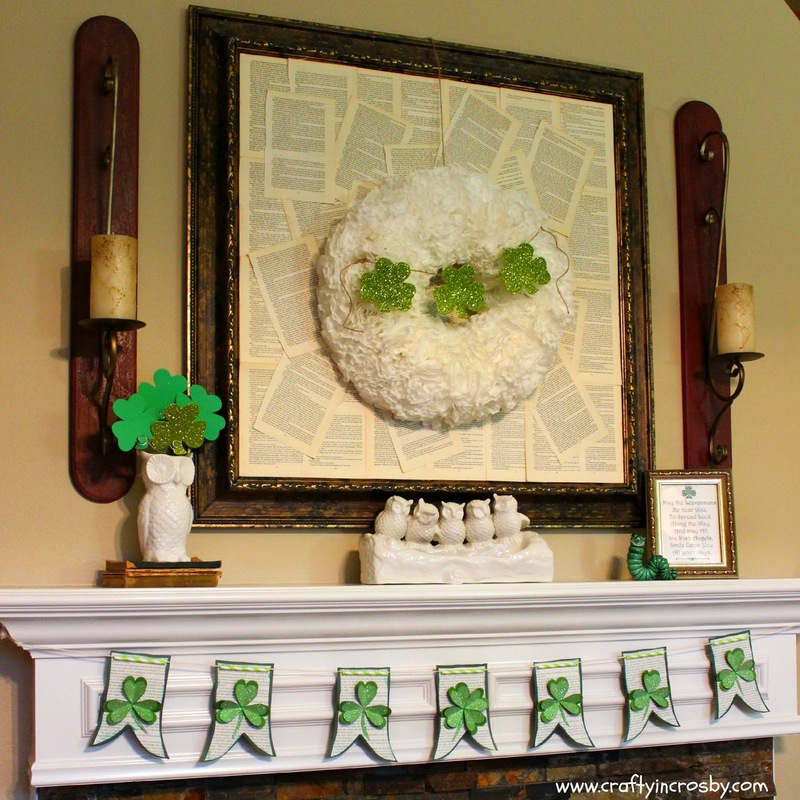 The coffee filter wreath has been decorated with shamrocks and the banner from last year is back up. 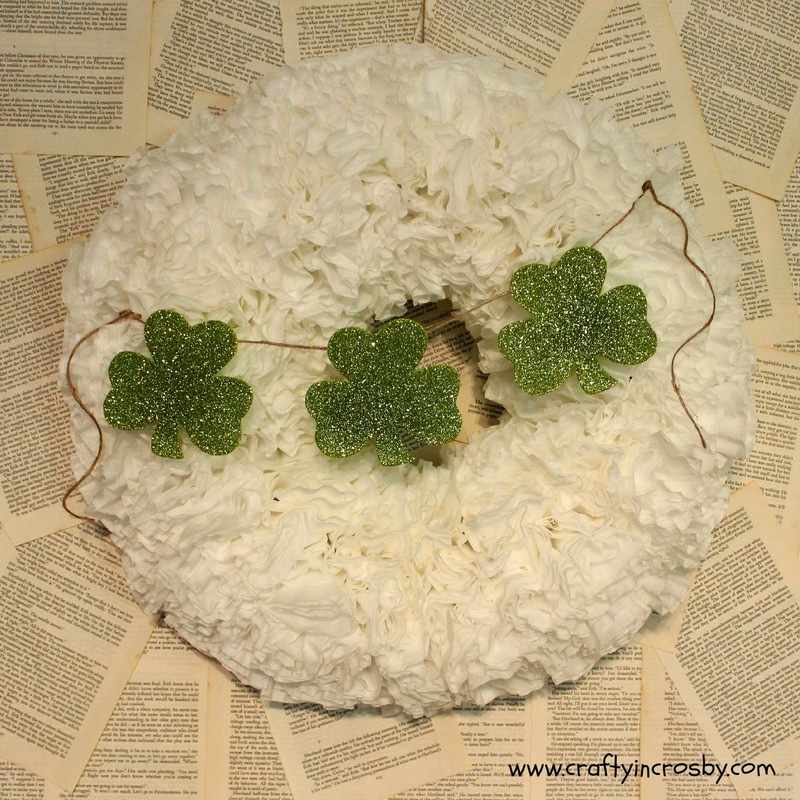 The Shamrocks are hot glued on to a piece of twine and each end is hot glued on to a toothpick. 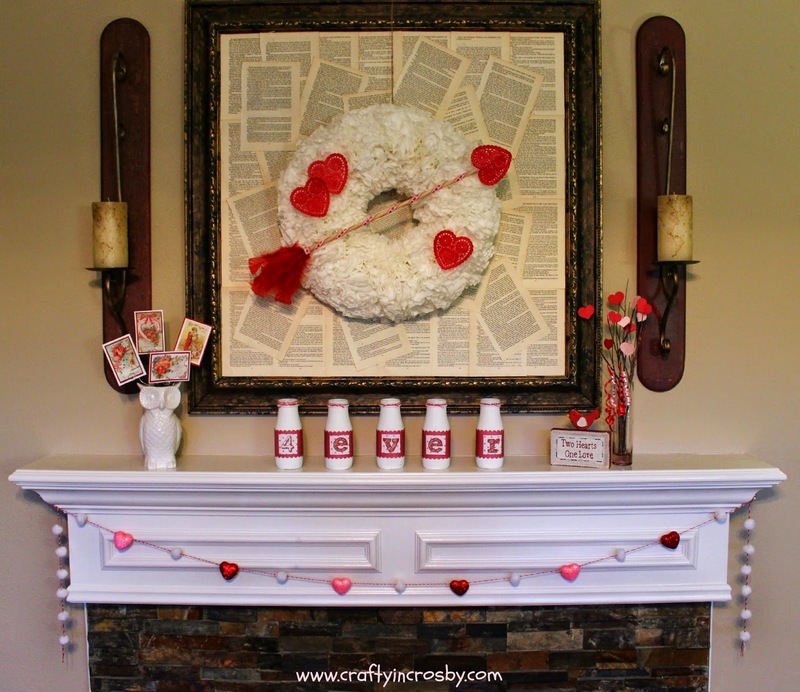 Then just stick the picks in the styrofoam wreath form. 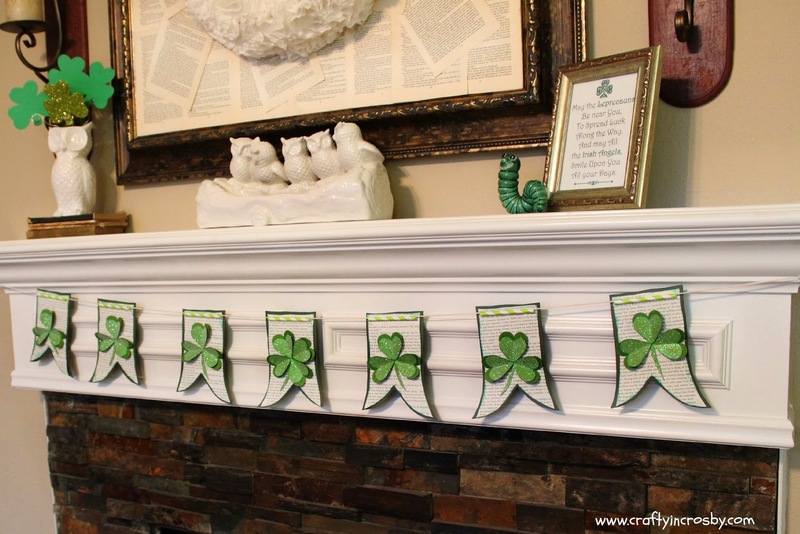 That way they can easily be removed so it can be decorated for the next holiday! 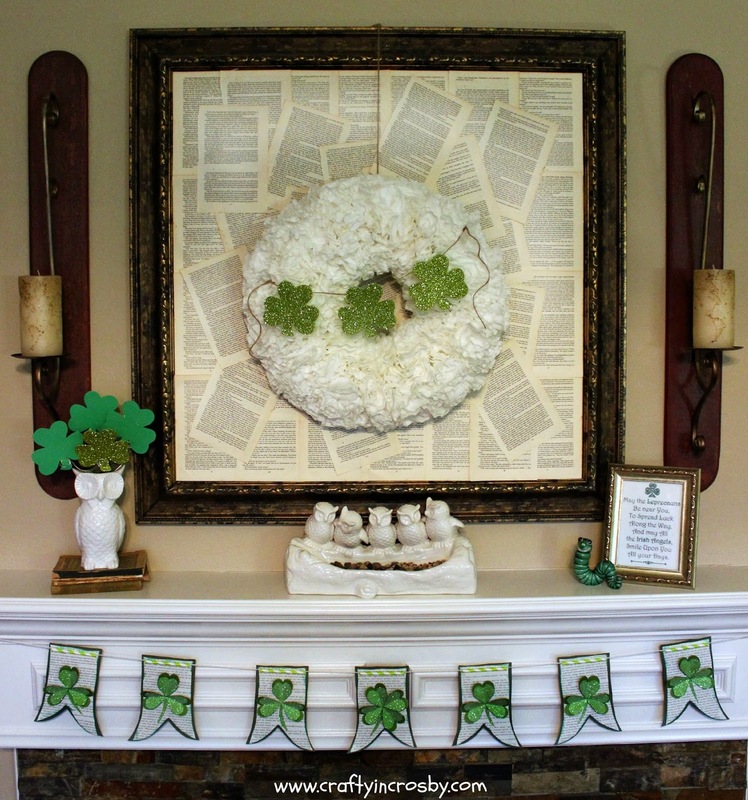 The wreath is very simple, but festive with the swag of shamrock's - don't you think? Hope everyone is staying warm and safe as the next round of nasty storms rolls in to Northeast. We have lots of family in Georgia, Tennessee and the Carolinas and I know they are all battening down the hatches. Praying that everyone makes it through with minimal issues. Love the wreath.....very pretty. I live in Tennessee and everything is covered in ice. I hate winter, can't wait till spring gets here. 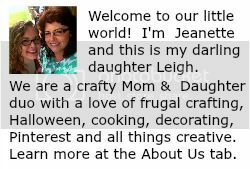 Leigh's BFF is a school teacher in Nashville and they have closed school all week! And it's supposed to be below 0 tomorrow night there - that's just insane!! Stay warm and safe! How pretty! Thanks so much for sharing it with us at Totally Terrific Tuesday! We hopt to see you again this week!